Beurdeley collection, Florence, in 1865. acquired 1878 in Florence by A. Gérôme. (Lowengard, Paris); sold 15 May 1908 to Peter A.B. Widener, Lynnewood Hall, Elkins Park, Pennsylvania; inheritance from Estate of Peter A.B. Widener by gift through power of appointment of Joseph E. Widener, Elkins Park, Pennsylvania; gift 1942 to NGA. 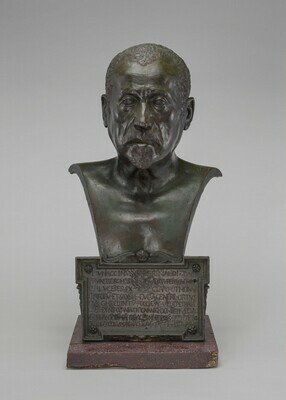 The bust is illustrated and described, and identified as being in the Beurdeley collection by Paul Mantz, "Musée Rétrospectif. La Renaissance et les temps modernes," Gazette des Beaux-Arts 19 (1865): 329-330, illus. Provenance according to Widener files in NGA curatorial records. Works of Art from the Widener Collection. Foreword by David Finley and John Walker. National Gallery of Art, Washington, 1942: 8. Sculpture: An Illustrated Catalogue. 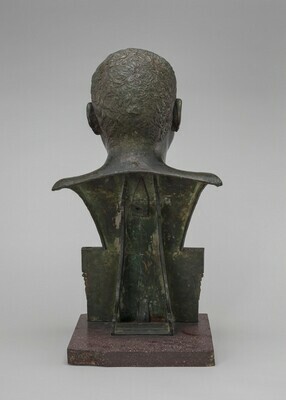 National Gallery of Art, Washington, 1994: 87, repro.